The future is now and it comes in the form of fast food kiosks taking your order instead of humans. 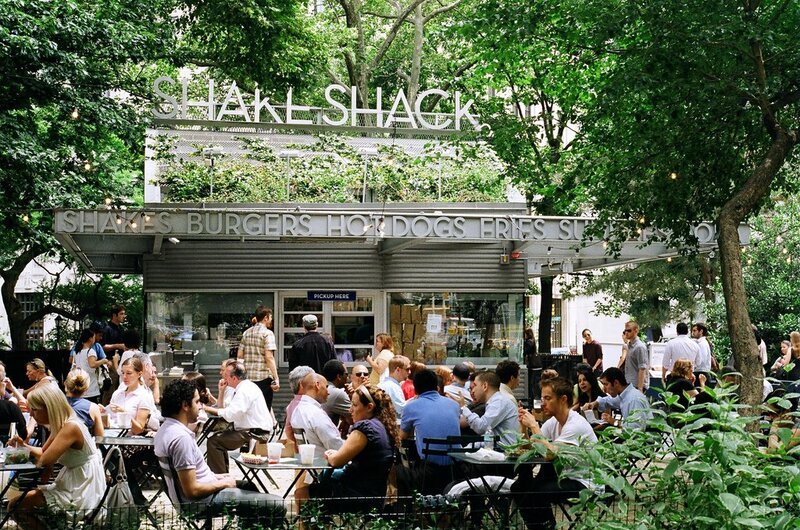 Shake Shack is going to open their first store in New York’s Astor Place where they will install cashless kiosks in the front where you will order your meal. This is just one of many digital innovations that will be tested out at their new location in an attempt to cut down the amount of time people spend waiting for their order. But there will be humans to help guide you through the ordering process if you have any questions. These “hospitality champs” will oversee the use of kiosks similar to the way store employees monitor self-checkout lanes to make sure everything is running correctly. Another change being made is the order collection process. Instead of having someone yell out your name and hope you didn’t step out of the building to make a phone call, you will receive a text message. This will make things more efficient, especially if you have a name that is difficult to pronounce of if you’re hard of hearing. The Shake Shack app will also allow people to place their orders before they even reach the restaurant, making it possible for them to order from the office and pick up their food when it’s done. No more standing in line listening to wailing children while you wait for your burger. In addition to and perhaps because of the technological advancements, all of the employees at the new location will be paid $15/hr. You can afford to do that when you cut back on the number of employees you have at your store. This is just a quick peek into the future for liberals. The company will also be incorporating newer innovations into the New York location, including improving the packaging methods and orderly delivery speed. The company will observe the new location and make changes depending on what customers find to be the most effective methods and tech advancements. It could be that this store is a guinea pig and once the owners find out what works and what doesn’t, the changes will be made to existing stores as well. This is not the first fast-food chain to include kiosks into their ordering routine, nor will they be the last. And with the demand to raise minimum wage, the changes will be coming faster than ever. Good news for consumers, not so much for employees.